In 1955, 1108 new classmates entered the Academy joining 37 others to form the Class of '59 with a total of 1145 classmates. Prior to graduation, 345 had departed for various reasons and four others separated without receiving diplomas. With a class membership of 800 at the end of course of study, we had 796 who graduated with diplomas and bachelor of science degrees and two others receiving bachelor of science degree certificates (OTG). An overall graduation rate of 69.5%. This percentage is almost exactly what the CNO told us in Mahan Hall in June 1955. Of these 796 graduates, 783 were commissioned in June 1959. 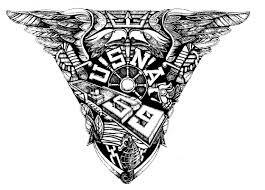 USNA Alumni Association and Foundation has described the history at Class History: 1959. The graduate class members includes 31 flag officers, 1 Ambassador, and many, many successful men. The USNA Notable Graduates site includes: a President, Secretaries, Ambassadors, Astronauts, Nobel Laureates, Medal of Honor recipents, Governors and Congressional members. The Class of 1959: Ambassador and Olmsted Scholar.